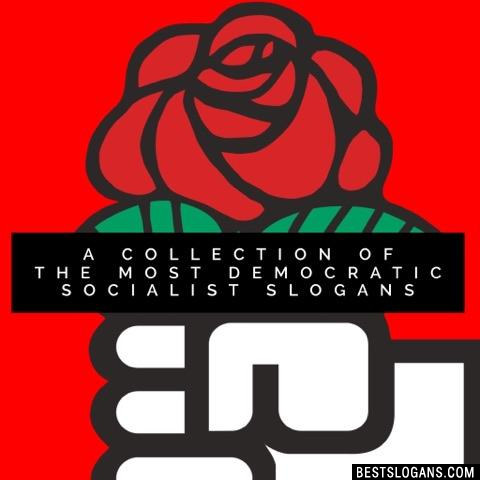 12 new entries added to socialist slogans, socialism slogans, that include pictures. 1. Free the Tools of Production. 1 Free the Tools of Production. 2 Never worked. Never will. 3 Live Free or Die. 4 Demonstrate. Agitate. Smash the State. 6 Abolish the wages system! 7 We're all in this together. 8 Proudly bankrupting liberal democracies since 1971! 10 Take care of the nation and it's people. 11 The State has a right to use violence to get whatever it wants without limit. 12 The political class owns you, you have no rights but what the State says you have. Can you think of a good Socialist Slogans we're missing? Or come up with a clever one of your own. Please share below.